I have a love-hate relationship with fresh herbs. 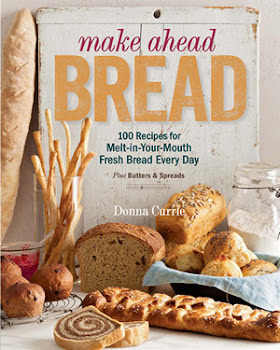 I love using them but I hate buying them for just one recipe. Because that's pretty much what happens. I use 'em once and by the time I want to use them again, they're dry or mushy or wilted or yellow some version of ugly and unappetizing. Given what fresh herbs cost, particularly in the off-season, that's annoying. I've tried different ways of wrapping the herbs, and I've tried a couple commercial products. Some have helped, but not enough to make me keep using them. There's always some fatal flaw. So, when I got the Ball Herb Keeper ($12.99) I figured it would help extend the life of the herbs, but the question was whether the bother would be worth it. 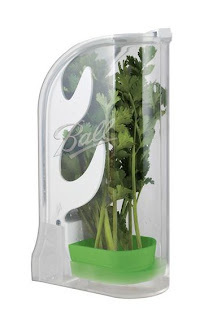 I had a similar product that worked well enough, but it was too small for a bunch of parsley or cilantro and it was inconvenient to clean. The idea behind the Ball herb keeper is that the stems of the herbs rest in water and the leaves stay in a humid environment. It makes perfect sense. It's like the flowers you see in a cooler at florist shop - stems in water, stored in a cool, humid environment. The Fresh Herb Keeper works as well - and often better - than other storage options I used. That's what I expected, so it's not news. 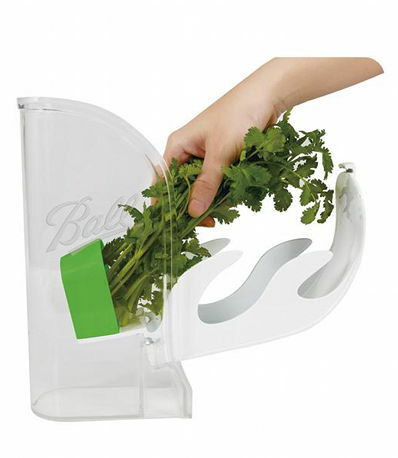 The fact that it's big enough to hold a bunch of parsley (a little snug, but it fit) is great. Getting the greenery in and out was simple enough. And I got to use my herbs for more than one recipe. The big benefit, though, is that this thing is easy to wash. Because, seriously, after I've neglected the cilantro for over 2 weeks, nothing is going to keep it usable. This disassembles so you can wash every little corner and it snaps back together easily for the next use. And, it's dishwasher safe. Samples were provided for the purpose of review on Serious Eats; this was previously published on Serious Eats.